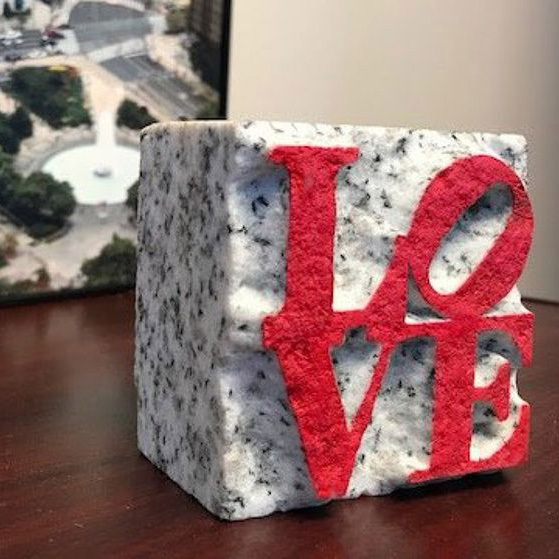 Robert Indiana’s iconic design came back to bite the Philly parks department after they attempted to sell commemorative souvenirs with his famous LOVE design. Due to copyright laws that changed in the early 70’s, and this design having been created in the 60’s, many people had been left with the impression that the design was in the public domain. A year of negotiations have taken place since Indiana’s estate sent a cease & desist letter to the parks department halting sales of the keepsakes. The estate has now granted permission to sell the 250 that have been produced and the park service will be unveiling a new design for the keepsakes moving forward.